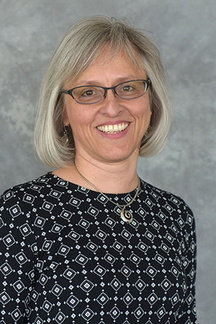 Patricia "Pita" Adam, MD, MSPH, is the Department of Family Medicine and Community Health's Vice Chair for Clinical Affairs. She teaches in the University of Minnesota Medical Center Family Medicine Residency and is also one of the family medicine team members on the Minnesota Primary Care Transformation Collaborative. As Vice Chair, Dr. Adam's goal is to improve the care we deliver to our patients and the experience of our providers and staff as they serve our patients. She also partners with our community practices as the “Academic Footprint” within our Primary Care Service Line. Dr. Adam has participated in research studying team-based care, intrathecal narcotics for obstetric pain management, and saline nasal spray for colds and sinusitis. Her current passion is ambulatory medicine. She created a longitudinal three-month rotation that includes a month devoted to teaching residents components of chronic disease management. My focus and interest lie in improving and understanding primary care systems in academic clinics. This includes interprofessional team care, teaching residents patient-communication skills, and how to transform the care in teaching clinics. In addition, I am interested in the incorporation of Community Health Workers in a primary care clinic and in improving the care for our underserved patients. Adam P, Ajibade O. Is dermoscopy helpful in differentiating alopecia areata from other forms of alopecia? Evidence-Based Practice. 2016;19(7):E2-E2. Ali N, Adam P. Do low sodium diets reduce the morbidity and mortality in patients with congestive heart failure? Evidence-Based Practice. 2016;19(4):E1-2. Hinrich A, Adam P. Can breathing exercises lower blood pressure? Evidence-Based Practice. 2015;18(6):E1. Singh S, Adam P. What can be done to slow down progression of Alzheimers Disease in the elderly? Evidence-Based Practice. 2015;18(4):9-10. Thompson Bumm H, Mustapha T, Borman-Shoap E, Adam P, Dierich M, Hager K. Essentials of Ambulatory Care: A Postgraduate-Level, Interdisciplinary, Interprofessional Curriculum at the University of Minnesota. Minnesota Medicine. 2015;98(4):36-8. Valencia MPR, Adam P. Which constipation management approaches are most effective for infants younger than 2 years? Evidence-Based Practice. Sep 2014;12-13.